This is the cover of a royal journal which is now published online. 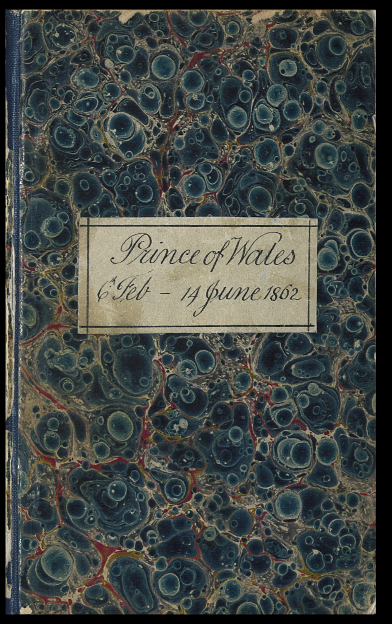 It chronicles a tour made by Prince 'Bertie', then the Prince of Wales, when he travelled through Europe and the Middle East in the year that followed his father's death - and that at a time when the widowed Queen was still less than well disposed to the son who she partly blamed for the stress that had led to Prince Albert's death. Queen Victoria may have coped with grief by retreating from society and mourning for the rest of her life, but the twenty-year old Prince seemed set on having a 'high old time' of it. In Damascus his journal details a meeting with a Mrs Digby - once Lady Ellenborough - who had divorced her English husband to marry a sheikh who was very much younger - 'We visited the house of Mrs Digby...once very handsome and still very good looking. 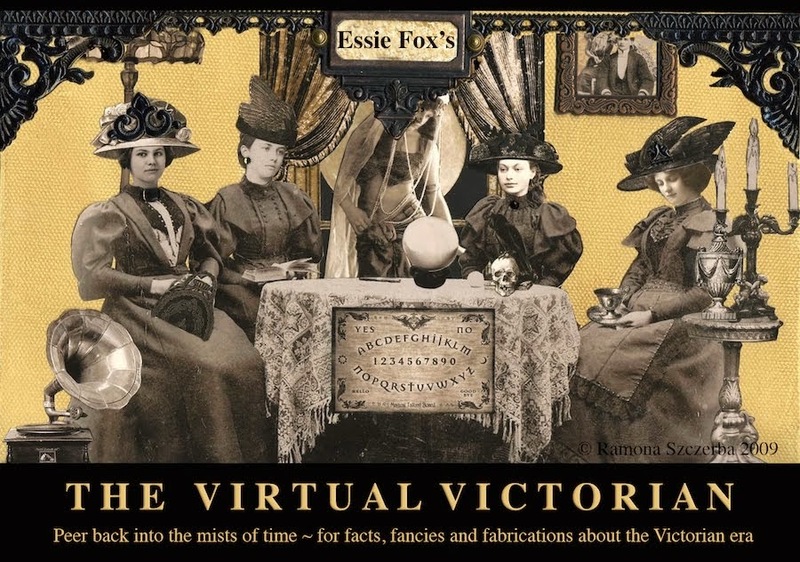 It is highly likely that, at some time, Queen Victoria would have been privy to the contents of this journal, and as such it is highly likely that the full extent of activities would have been tactfully watered down. But how to explain the royal tattoo - the sort of adornment commonly found only on the lower classes and seamen? However, that was soon to change. The prince's inking was to start quite a craze with the aristocracy. We have no photographic evidence but the prince's tattoo, created by a man called Francois Souwan, was said to be a Jerusalem Cross. What's more it was also said to be the first of many more to come - and it led to a family tradition. When royalty hangs onto a craze, you may be assured that the rest of the exclusive world of wealth and power soon follow in the same path, and annex the peculiarities of the pleasures of which have given amusement to their heroes born in the purple. What wonder, then, that tattooing is just now the popular pastime of the leisured world? 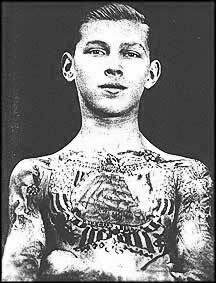 For one of the best-known men in high European circles, the Grand Duke Alexis of Russia, is most elaborately tattooed. And Prince and Princess Waldemar of Denmark, Queen Olga of Greece, King Oscar of Sweden, the Duke of York, the Grand Duke Constantine, Lady Randolph Churchill, with many others of royal and distinguished rank, have submitted themselves to the tickling, but painless and albeit pleasant, sensation afforded by the improved tattooing needle, which is nowadays worked on a simple plan, aided by the galvanic current, the genius of the artist supplying the rest of the operation. The Duke of Saxe-Coburg and Gotha, like his cousin Alexis of Russia is another elaborately - tattooed man; but even his decorations, and those of other profusely-tattooed men, fall short in point of quantity when compared with those marks upon the body of that Greek gentleman who was exhibited not long ago at the Royal Aquarium, whose body was completely covered with fine tattoo work, every square inch of it. Anyone meeting the Duke of Newcastle, or the Earl of Portarlington, or Sir Edmund Lechmere, in the street, would hardly realize the fact that these gentlemen are proud wearers of tattoo marks - very much so. We are able to give facsimilies of the designs which have been tattooed on the Duke of York, Prince Francis of Teck, Prince George of Greece, together with other examples of the art. Professor Riley's work is pronounced to be, by no less that a celebrated Royal Academician, who takes considerable interest in tattoo work, the finest in the world. The present fancy for being tattooed, according to Professor Riley - than whom an artist has tattooed more distinguished people - mainly exists among men who have travelled much; while ladies have also taken a strong liking to this form of personal decoration, which, from a woman's point of view, is about as expensive as a dress, but not so costly as good jewellery. In place of spending her spare time posing in front of the camera, or reclining her head in the dentist's chair, or placing herself resignedly in the hands of her coiffeur for something better to do, or for the purpose of passing her time in the "off" season, the lady about town now consents to be pricked by the tattoo artist's operating needle, and to have her forearm or shoulder adorned with perhaps such a mark as this - a serpent holding it's tail in its mouth - a symbol representing eternity. In order to form an idea of the kind of work that is wanted by those who give their patronage to this specific class of fine art, a close examination of these illustrations will assist you. The skill of the tattoo artist, to be realized properly and fairly, must be seen in beautiful colours on a white skin - work which is amazing. The sketches he employs are made in various coloured inks. His great skill is in the faithful reproduction of any symbol or picture desired by the sitter. 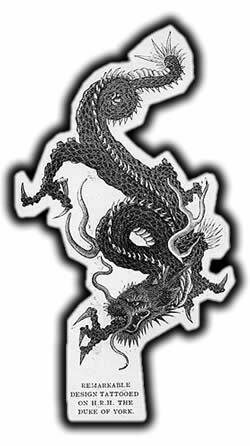 These designs vary in size from a small fly, or bee, to that of an immense Chinese dragon, occupying the whole space offered by the back or chest, or a huge snake many inches in thickness coiling round the body from the knees to the shoulders. Tattooing has its humorous side, as well as its serious. A lover whose heart was once melted away in a soft, sweet, passionate love, got the artist to imprint in indelible inks, over the region of his heart, a single heart of charming and delicate outline, coloured, as it should be, in all the blushing tints, with the name of his loved one stamped thereon. 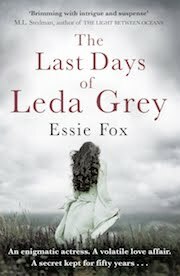 Three years afterwards he followed the artist to London, and, seeking him out, with face pallid, the light of his eye almost gone out, and looking utterly miserable and care-worn, he requested that the tattooer to imprint under that same symbol, in bold, big letters, the work "deceived". A well known army officer had tattooed over his heart the simple name of "Mary" with a lover's knot, but six months afterwards the same gentleman had the uncanny work "traitress" tattooed underneath. An English actress had a butterfly tattooed on her fair shoulder, the initials of her fiance, "F.V." being placed underneath. Not long afterwards she also came back and had the "F" converted into "E" and the "V" into "W", the letters reading "E.W." She eventually married "E.W." and to this day "E.W" thinks his initials were the first tattooed on her arm. Colonials visiting England usually return home bearing on some part of their body an emblem of some national importance. This takes the shape of a portrait of the Queen, or the Standard, the Union Jack also not being despised. A man may admire a favourite picture and desire a reproduction of it tattooed on his back, or upon his chest. Professor Riley is at the present time engaged "etching" on a mans back Landseer's famous picture "Dignity and Impudence" and when finished it will measure 12 by 9 inches. The same artist is also outlining on the chest of a Scotch baron a copy of Constable's famous etching, "Mrs. Pelham," after Sir Joshua Reynolds, the original etching of which fetched, in June last, at Christie's, the record sum of 425 pounds. While most people are pleased to go through the performance of being tattooed just for the fun of the thing, as it were, many, on the other hand, approach the tattooer with a serious object in view. Eschewing all fancy designs, they choose frequently their own name and address as an aid to identification in case of accident, or, as has been the case recently, a wife may induce her husband to have her name tattooed on his arm, as a guarantee of good faith. An official connected with one of our leading railways has had tattooed round his arm, in snake fashion, a train going at full speed. The scene is laid at night. The shades of evening envelop the snorting locomotive and flying carriages, while the rays of light proceeding from the open furnace of the locomotive are effectively shown lighting up the cars. There are lights, two, issuing from the carriages, showing how the passengers inside are passing away the time. Some of them are reading, some sleeping, some talking, some sullenly looking out of the windows. A darkened portion of the train is passing the signal box, and the dim light there from faintly lights up that part of the train. The picture is a perfect ideal of the tattooer's art, and shows the great advance tattooing has made during recent years. Professor Riley has never done anything more striking or effective, if perhaps we accept the large snake he tattooed all around the body of a certain popular member of the Royal family, which is an extremely life like reptile. 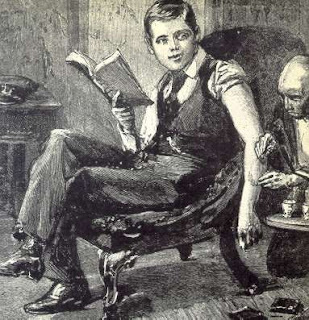 As there are over one hundred thousand people in London alone who bear on some part of their anatomy evidence of the tattooing needle, it is obviously an impossible task to attempt to emmunerate, with fidelity to truth, the designs most favour by patient disciples, but these are many and various. As regards the time usually taken to imprint marks on the body one may hazard a correct opinion. To work, say, a little house fly on your arm takes about fifteen minutes; but when you require an elaborate presentation done, comprising the reproduction of perhaps a celebrated picture, that, of course, would take time and cost you money. In a case like this the artist would "give you the needle" for a period extending to eighty hours divided into ten or twelve sittings, each sitting costing you perhaps a couple of guineas or more. The cost of a fiercely-bearded ferocious-looking Japanese dragon, or a pretty Jap girl draped in all the finery of the coming Oriental nation, or a snake coiling around your body, would, of course, depend on how it was done - lavishly or otherwise - and wether the artist worked from some special directions. Some people have tougher skins than the meat of their fellow creatures, and here the artist has to make his calculations as to time - the tough-skinned gentlemen presenting difficulties not to be taken into account when reckoning up the finer-skinned man. But a sitting does not last more than two hours. Of all the classes of people who patronize the art, the worst to operate upon, singular to say, are medical men. An artist of the brush will sit patiently and direct operations in a way by suggesting little ideas which the genuine tattooer is not slow to act upon, but the medico fidgets dreadfully, and persists in wanting to know things - such as, for instance, to what depth the needle penetrates the skin, of what the pigment used are made, and if the tattooer has had or heard of any blood poisoning resulting from the operation of being tattooed; also what effect sitting so long and bending so much has on the operators chest - interesting questions, but problematical to the tattooer. The skull and bones symbol is the favorite one among medical men. There are about twenty tattoo artists in London, some good, some very bad, some very indifferent. Professor Riley is among the best. i am really getting into tattoos designs and really appreciate the artistic talent of these designers.. i love so them! these are great stuff here.. So... do we think Queen Elizabeth II has a tattoo? I hope so! That's a fun thought - but somehow I doubt it.